Vietnam's President Tran Dai Quang shown during a meeting with Myanmar's leader Aung San Suu Kyi at the Presidential Palace during the World Economic Forum on ASEAN in Hanoi, Vietnam. Quang died Friday at age 61 due to illness. Quang died in a military hospital in Hanoi from a "serious illness despite efforts by domestic and international doctors and professors," according to Vietnam Television. According to The Associated Press, "The state-run online newspaper VnExpress quoted a former health minister and the head of a national committee in charge of leaders' health, Nguyen Quoc Trieu, as saying that Quang had contracted a rare and toxic virus since July last year and had traveled to Japan six times for treatment. He did not specify the virus." Quang had not been seen in public for several weeks before his death was announced. In May, at the time of the Vietnamese Communist Party's Seventh Plenum, The Diplomat reported that there were rumors Quang would be replaced "on account of health." 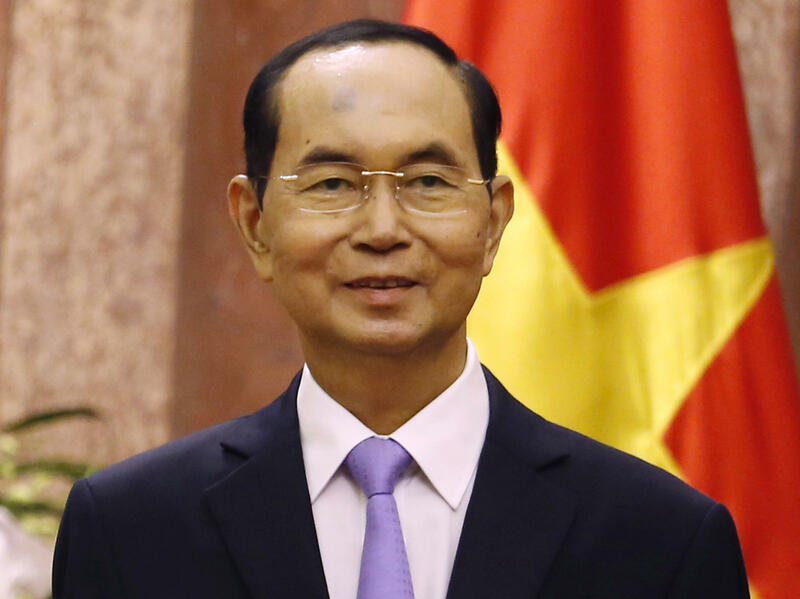 "However, no new Politburo members were named, while Quang quashed rumors of his ill-health by successfully carrying out his duties as chair for the closing session," according to The Diplomat. Prior to serving as president, Quang had been the head of the Ministry of Public Safety, the country's de facto security and intelligence service, which has been singled out by international critics of Vietnam's human rights record. Reuters writes, "Originally from a small farming community [70 miles] south of Hanoi, Quang rose through party ranks to become a police general and member of Vietnam's powerful decision-making Politburo." Quang hosted President Trump when he made his first state visit to the country during the Asia-Pacific Economic Cooperation (APEC) CEO Summit in Danang last year.